These crispy toasts are irresistible with creamy goat cheese and a warm cherry sauce! 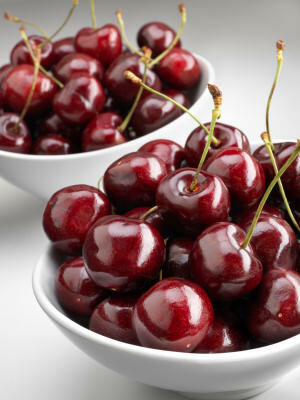 1) Combine cherries, honey, vinegar, and thyme in a medium saucepan; bring to a boil over high heat, stirring occasionally. Simmer 5 minutes; remove from heat and cool slightly. 2) Arrange the toasts: Smear goat cheese over toasts; spoon war compote topping over. Serve.